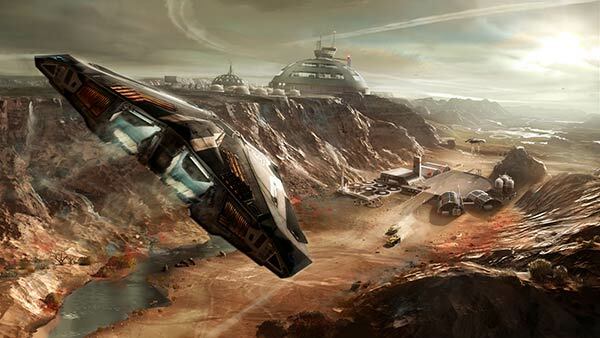 In the latest Elite: Dangerous newsletter game creator David Braben announced that there will not be a single-player offline game mode available when the game launches in a month's time. Such a mode was promised during the game's Kickstarter campaign but has now been thrown out as it would be "unacceptably limited and static compared to the dynamic, ever unfolding experience we are delivering," according to Braben. 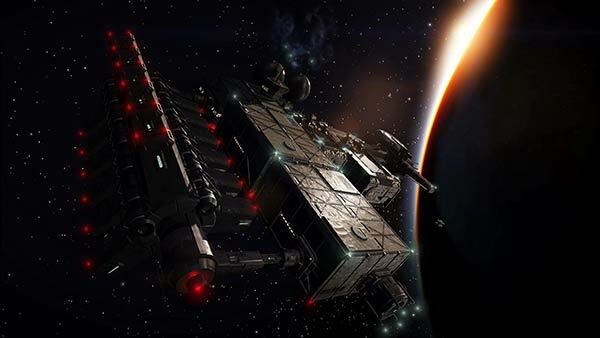 While Elite:Dangerous has pushed the online experience as the core of the game, and this is how it will become a persistent ever evolving experience among players, a single-player offline mode was promised in the game's development FAQ. As a single and unconnected player you wouldn't get the evolving galaxy and server syncing but could experience the game and certain events seeded in the galaxy by the developers. Now, just weeks before the game's release, the single player offline mode has been thrown out as it was too limiting. In Newsletter #49 Braben discusses how the ambition behind the new Elite game sought to make it as big as a step forward as its predecessors and new online technology has been a particularly exciting aspect of the game development. This is both in the way the game makers have communicated with the community of fans and the way online games work differently to traditional offline experiences. Thus, as the game grew, unplanned features have been embraced and are now "fundamentally key to the experience". These experiences encompass trading, combat, exploration or missions and, of course, the impact of what others are doing in the galaxy. With the above in mind Braben says that "Galaxy, story, missions, have to match, and it does mean the single player has to connect to the server from time to time, but this has the added advantage that everyone can participate in the activities that can happen in the galaxy." He concludes that "A fully offline experience would be unacceptably limited and static compared to the dynamic, ever unfolding experience we are delivering." The game gets its official release on 16th December. Meanwhile, for 'Beta Backers', Beta 3.9 is released this Thursday, 20th November. Seems short-sighted to me. Surely it's up to the players to decide what's “unacceptably limited and static”. I for one would much rather have the option to play off-line - now my choice is “play online, or play something else”? Thanks David. Wonder how many of your backers you've just alienated…. ^– This. I don't have much time to play any more with family commitments, training, and work. I don't want to spend the little time I do have, playing with teenagers screaming about each other's mums. It does say that the single player mode may only need to connect to the servers ‘occasionally’. And we all know how well these purely online games work when the servers have issues… in my opinion there should ALWAYS be the option of an offline mode in a game where we pay for it at the start, whether it's a case of being able to do ‘mini missions’ or build more things in a city. Simply put, a static/limited offline experience is better than no experience. And what happens when the servers get shut down…. Now if this was a free to play game where you could chose not to spend money on ‘extra features’ then it's a different situation.